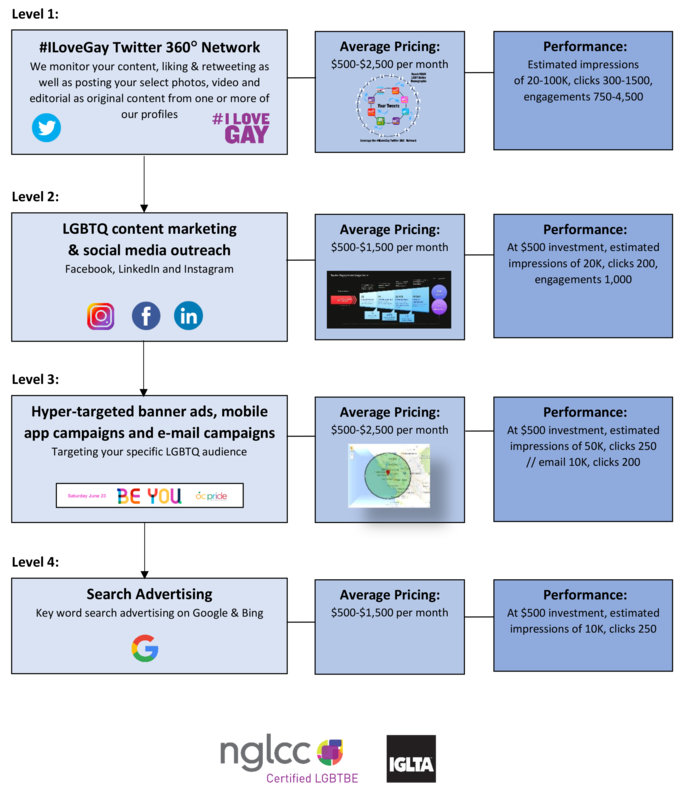 Our primary LGBTQ marketing services fall into the following prioritization and work flow. Clients typically begin with Level 1 services and grow from there, moving up to Level 2-4.
at $750 per month for a 6-month commitment, billable monthly. Contact Us Here for more information or to sign up! 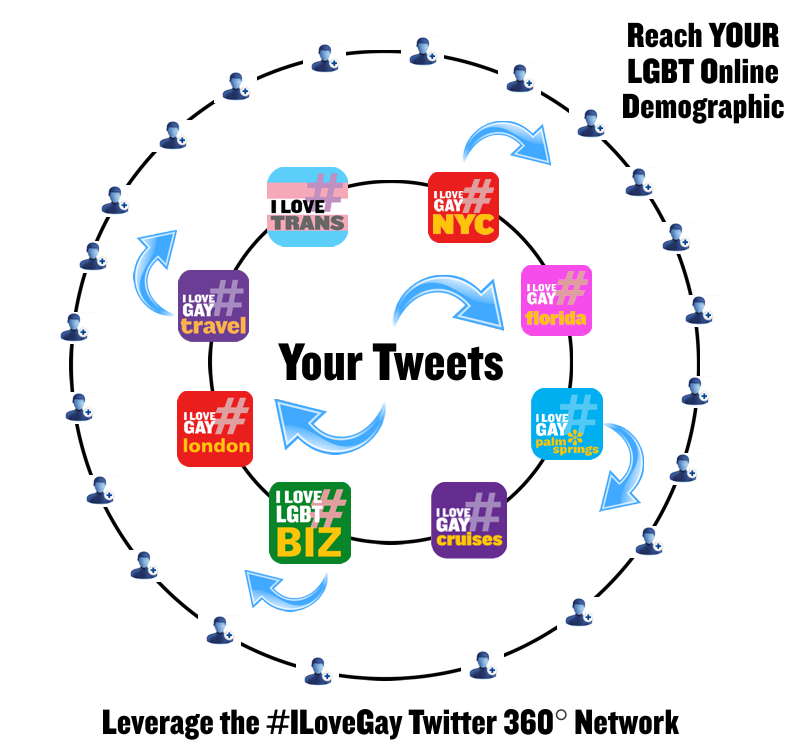 Interested in pursuing this marketing program and strategy for your business? Call us at (323) 963-3653 or contact us here to get started.